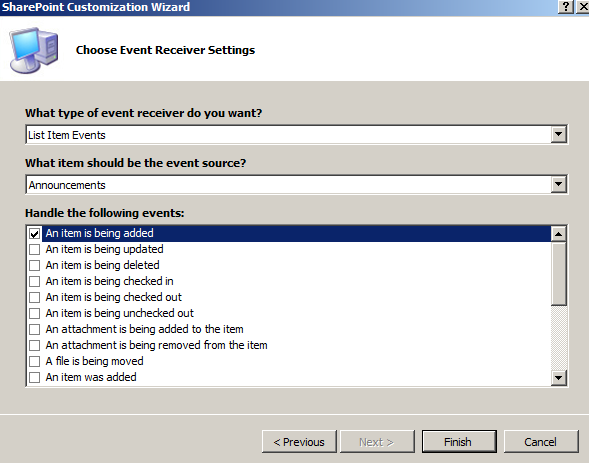 Many of you are aware that in SharePoint 2007, you can create Event Receivers (aka. 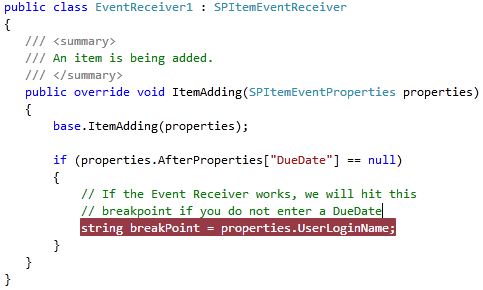 Event Handlers) to take care of things for you when specific things happen. For example, you can subscribe to the "ItemAdded" event for a specific list, and have your custom code execute when the event fires. Also, you are in SP 2007 able to cancel an event if you have the need for it, hence providing the user with an error message in the browser. 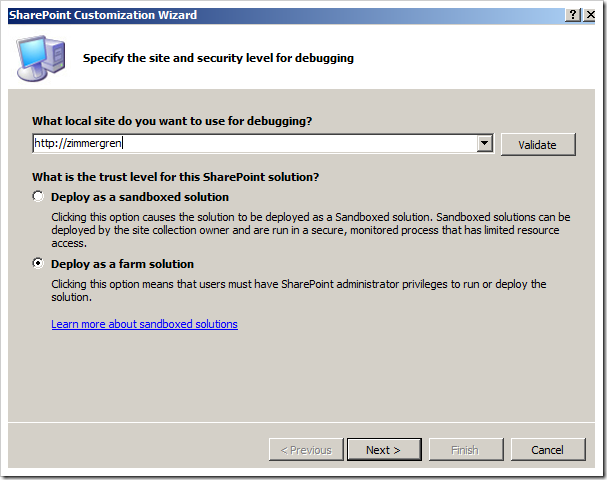 With SharePoint 2007 you had no way to customize this error message, and could only display the out-of-the-box message. I’ve been getting the question about 1 million times – but never had any really good answer. 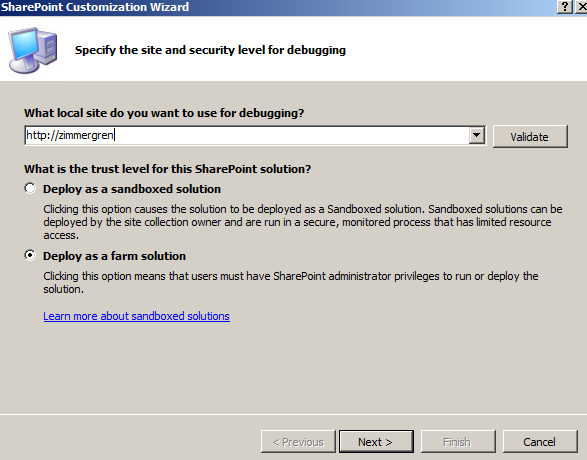 Until now, where this specific functionality is built into SP 2010. 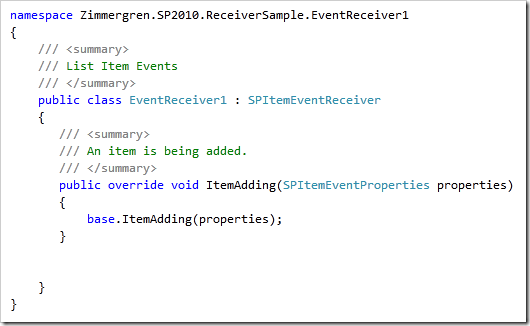 The object model has been extended in various places, and this is one of the most welcome changes for me and a lot of my fellow peers doing daily SharePoint development. 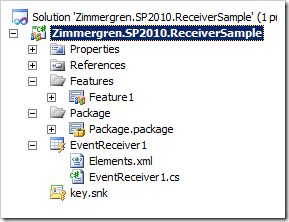 So, in this article I will walk you through the news with Event Receivers in SP 2010 in regards to creating custom Error Pages for your users. Click next and let Visual Studio 2010 work it’s magic. I will not dig deep on how and why the structure of the project looks the way it does now – it will be covered in another article. 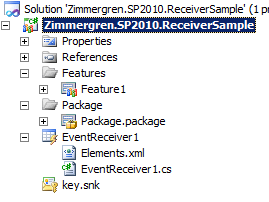 In the EventReceiver1.cs file that you’re presented with, you can quite easily add any code you want – and some code has already been added so you don’t have to! 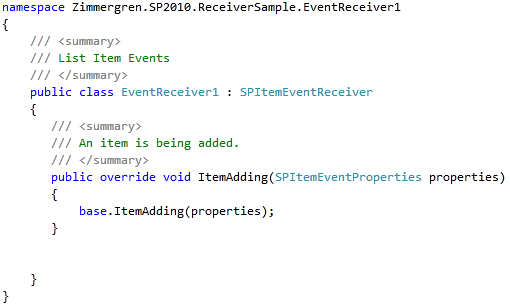 Now, what I want to do in order to make sure my event receiver works – is to simply add some dummy-code and have it tested! 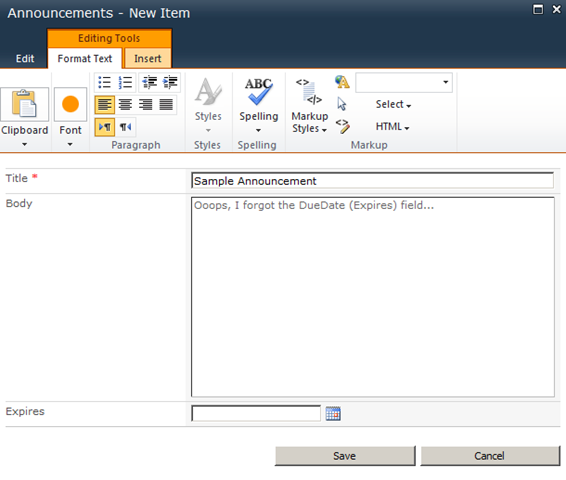 All we do here is check our item that is being added makes a condition to see if the DueDate property is set. The breakpoint is simply added because you easily should see that your code executes and works as expected. 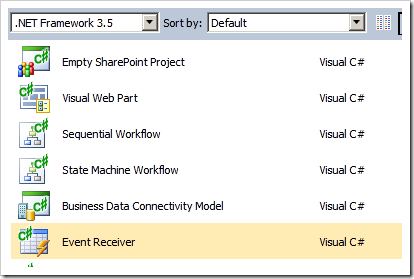 By pressing F5, Visual Studio will take care of the build, packaging and deployment of your Event Receiver. For more details on the actual F5-experience, I encourage you to read MSDN, SDK and all the blogs out there. 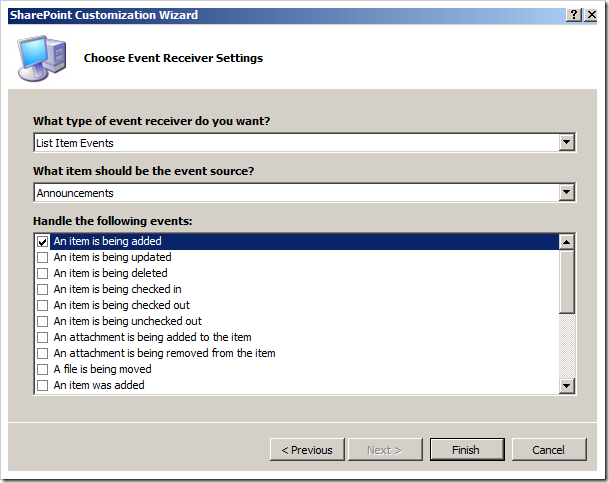 You are presented with a web page (VS 2010 launches IE for you as well), where you now can easily test your Event Receiver. 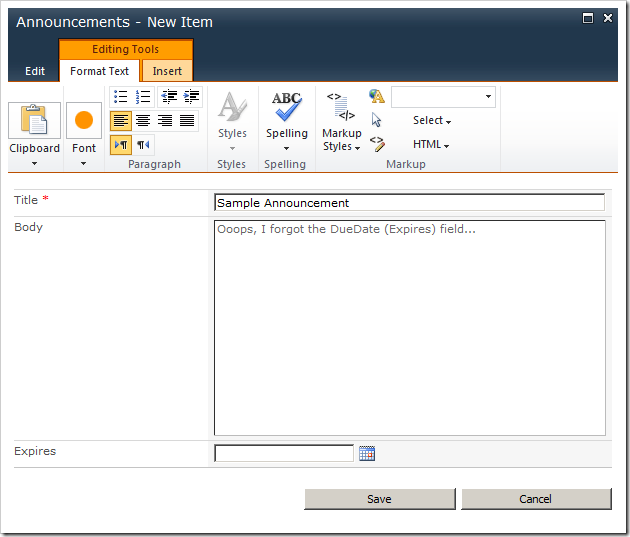 In our case, when adding a new Announcement, we should automatically check the DueDate property. Currently we don’t cancel the event or do anything else – let’s leave that to your imagination. 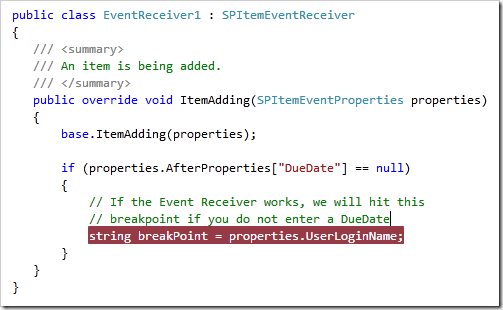 So – now that we’ve got a very basic Event Receiver in SharePoint 2010, we should add that Custom Error Page we talked about. Note that I am referring to an image as well. I just popped that into the same Layouts-folder that was created for my Event Receiver project. 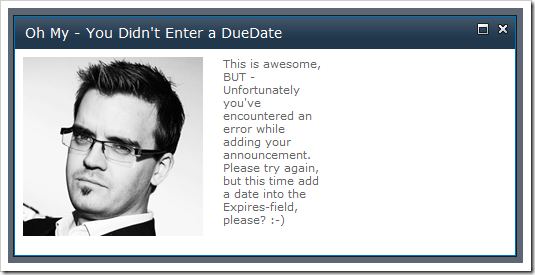 This will now cancel the event if the DueDate field is empty, and show the user a custom error page that you designed yourself. As you can see, your custom HTML now appears. Apparently I didn’t do any fancy design on my Application Page, but you can add more images and whatever else you want to make it more easy for the users to understand what actually went wrong – and how to make it on from there. 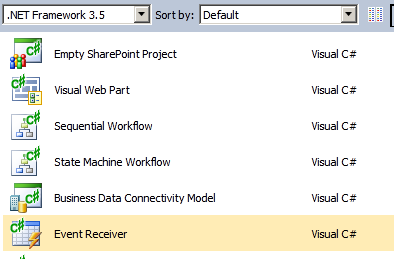 As easy as 1-2-3, you’ve created a new event receiver in SharePoint 2010 – and created a Custom Error Page upon which your users will land when they’re presented with the error – something that wasn’t really possible in 2007.